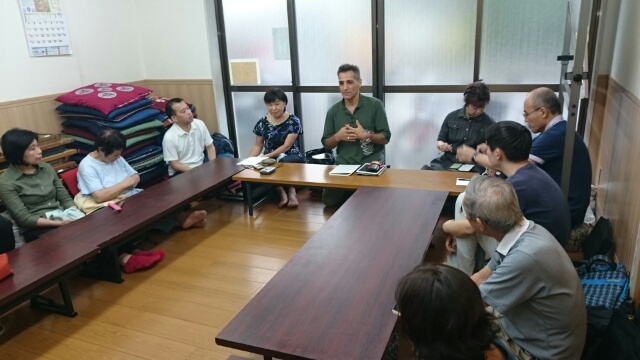 On September 17, Bijan San, who once learned Japanese in NKK and now runs the business of Persian rug sale and like, told us the story of his home country Iran and Islam. He gave us detailed descriptions of the social conditions of Iran, such as culture, economy, politics, religion and lifestyles, and the actual situation of Islam in fluent Japanese, making comparisons with other Middle Eastern countries. It was a good opportunity to deepen our understanding of Iran and Islam. Thank you so much, Bijan San.